Lift the spirit, aid motivation and unlock self-healing power! 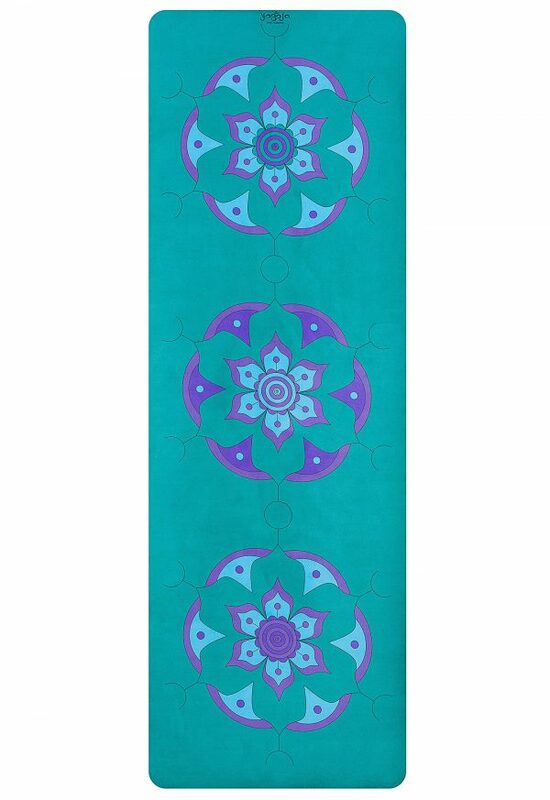 Our self-made yoga mat designs combine the profound effect of colour with harmonizing patterns of mandalas and sacred geometry. The energy of colour can help us with many things. 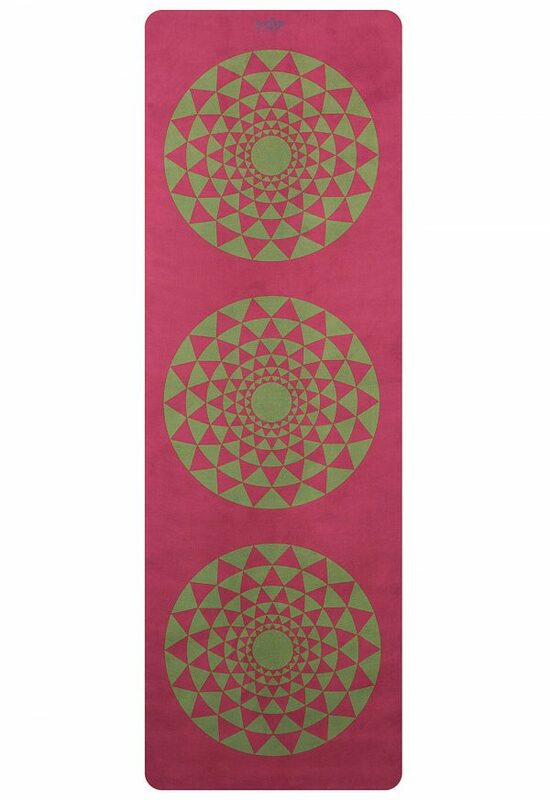 According to their colour combination, our yoga mat designs stimulate various effects as relaxation and balance. Designed to lift the spirit and aid motivation with beautiful colour vibrations, the mats create a grounding foundation for any kind of practice. Read below about every unique yoga mat design and its healing purpose. This Red Green Yoga Mat Carpet is perfect to boost your motivation. Olive-Green merging into a warm Red stimulates a feeling of warmth and harmony. When we are comfortable, our mind can rest and our body can recover. Using the activating properties of the colour, a calmed mind would now start to set new goals being reached with new spirit. Red’s energizing character, then encourages decisions. The healing colour Green restores harmony and balance empowering trust in ourselves. A perfect geometrical arrangement acts calming on mind and body. 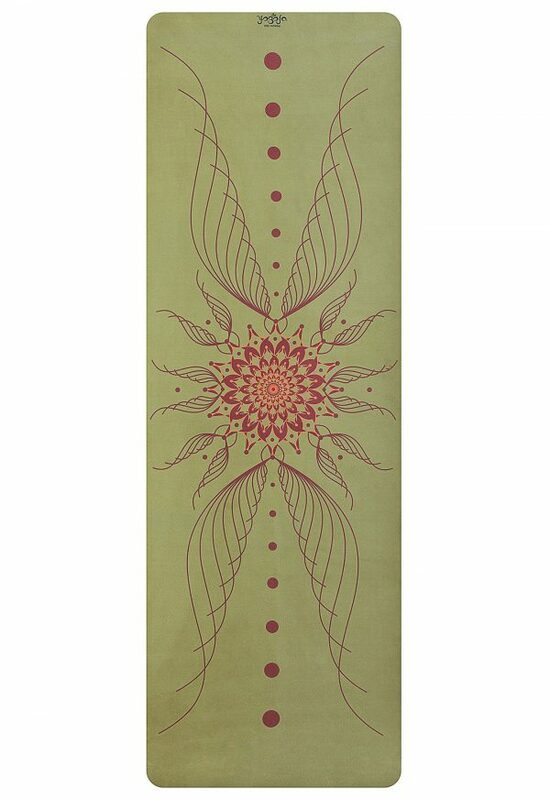 It makes this yoga mat design to a perfect fit if you are looking to restore body and mind. 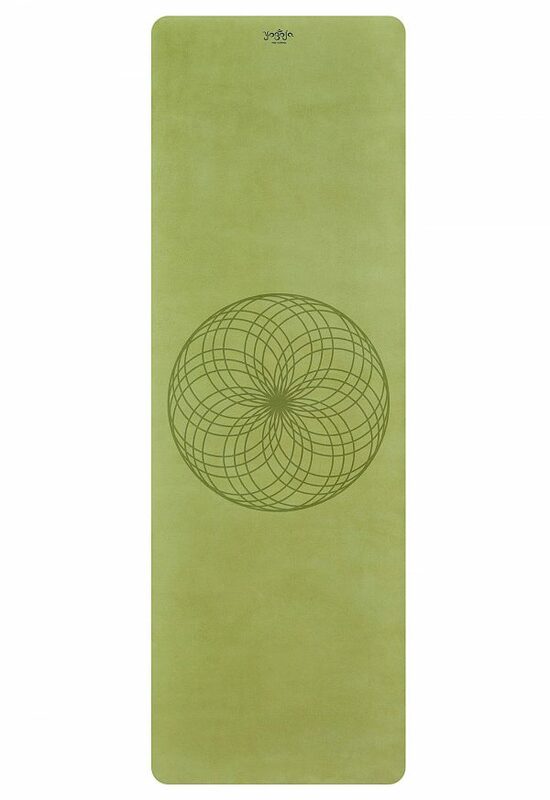 Our green geometry yoga mat harmonizes body, mind and soul. Light Green acts as a tonic for immune system reducing stress and frustration. Being a restorative colour, it centers the mind and nurtures inner balance. The green yoga mat was created with a centering circle. This perfect geometrical arrangement brings our focus back to self whilst stimulating mindfulness and reflection. The yoga mat design is inspired by ‘Sacred Geometry’ which today, is considered as a structure of energy providing access points to deeper awareness. The turquoise Yoga Mat is beautiful for every practice. Turquoise is a calming colour with the potential to release stress and tension. Its calming, comforting effect nurtures inner peace. A refreshed mind, higher self-awareness and an open mind, caused by Turquoise. Blue and violet are cool colours offering stability and relaxation. Violet and pink encourage acceptance, kindness and forgiveness. With loving thoughts and trust in us, we can release what’s stuck inside us. 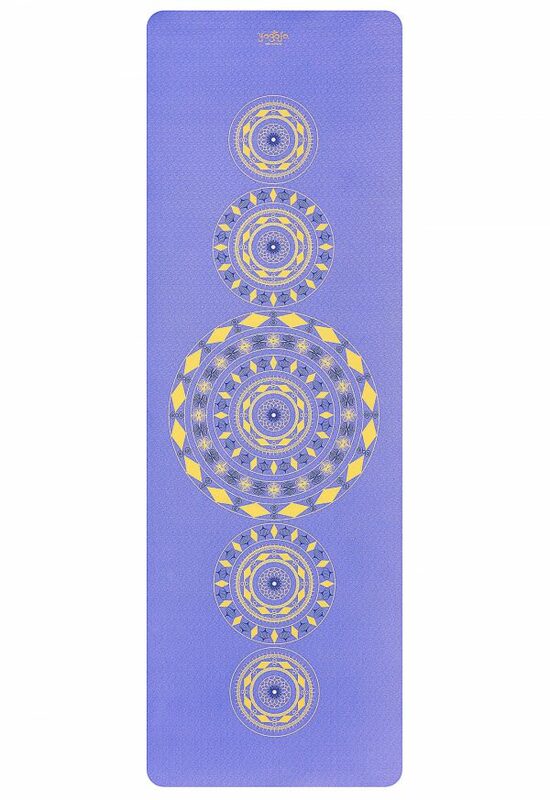 The Chakra Yoga Mat will help you restore! 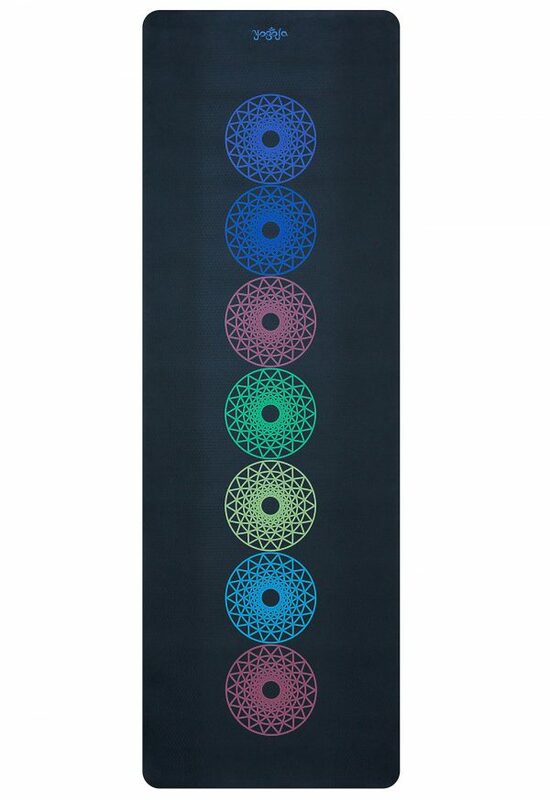 This yoga mat design is inspired by the seven main chakras, spinning energy centres in and around our body. They absorb, clean and distribute energy within our system. Every chakra is associated with a specific type of energy. When that force is suppressed, imbalance emerges and physical, emotional, mental or spiritual disorder are the results. 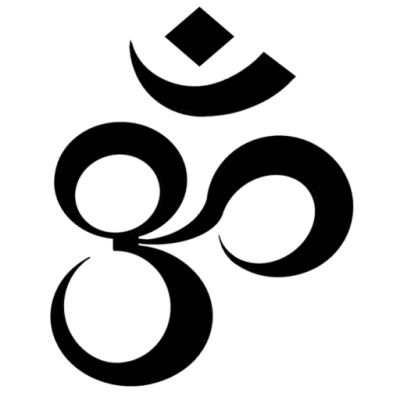 By concentrating on the chakra’s colour its energy can be strengthened. A black yoga mat will aid silence and reflection and allow the practitioner to comfort himself due to the color’s nurturing properties. Our beautiful yoga mats are great presents for everyone. As they are lovely for all our senses they become a part of the interior design – for a cosy home! Pssst, Christmas will be coming for sure.